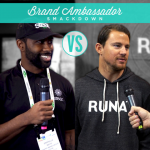 With Darrelle Revis and Channing Tatum on board, the star power was there; but how did they do while reppin’ their brands? Let’s go to the tape and see. Distribution player L.A. Libations announced an investment in chia smoothie company Chia\Vie today at National Products Expo West. When Coco Café first appeared on store shelves last September, it would’ve been easy to assume that the coconut water/latte blend already had some sort of relationship with Vita Coco; the name, design, and packaging of both brands were – for certain - quite similar. Coco Café founders Brian McCaslin and Elan Eifer admittedly admired Vita Coco and its branding, though, at the time, the two companies had no affiliation, a fact that quickly changed following a chance meeting at BevNET Live. It’s been a quite a successful run for Mamma Chia during its first year and a half. The first to market chia drink went national with UNFI only eight months after its initial launch and quickly established a solid footing in major natural retailers including Whole Foods, Sprouts and Wegmans. With a deep and wide presence within the natural channel - and chia on the verge of mainstream acceptance - Mamma Chia is setting its sights on crossover into hybrid and conventional grocery stores in 2012. By any account, Harmless Harvest was one of the most talked about brands at Expo West 2012, and it certainly wasn’t for a lack of influential enthusiasts. From Gwyneth Paltrow’s recent declaration that she is “obsessed” with Harmless Harvest and that “it puts all other coconut water to shame,” to a feature story in Vogue that called the beverage one of “the new health kicks of the season,” the brand has – intentionally or not - cultivated a well-heeled (or at least high-heeled) following. The latest Expo West show turned out to be the biggest on record with more than 60,000 attendees and over 160 beverage-related exhibitors packing the event. Marching through the vast halls of the Anaheim Convention Center, BevNET's John Craven and Andrew Guard examine new and continuing trends seen at the show including new uses for coconut water, the growth of alkalized waters, natural energy, “refined” refreshment, and the increasing use of chia and oats in wellness drinks. Embracing the bonds that the two companies have shared since 1998, Honest Tea will launch Raspberry Fields, a raspberry flavored and lightly sweetened tea, exclusively in Whole Foods beginning in April. In this quick booth interview at Natural Products Expo West, Jeff Klineman, the editor-in-chief of BevNET, spoke with Honest Tea founder Seth Goldman and Melanie Knitzer, the vice president of natural channel sales, about the new product and its relationship with Whole Foods. It's a coffee brand that's done a fine job of accelerating in the past year, and it's gone from 2500 outlets in 2009 to more than 20,000 by 2012, but Coke Venturing and Emerging Brands group's licensed Illy Issimo has retained a fairly low profile. Now, in an attempt to grab a bit more space in the grab and go realm, Tom Larsen, the brand's general manager, revealed that he is moving three of the brand's varieties -- Cappuccino, Latte Macchiato and Mochaccino -- into 9.5 oz. teardrop bottles. With a close eye on consumer feedback, Zico showcased a couple of new products from its crowded booth at Natural Products Expo West. As reported by BevNET last week, Zico launched Zico Latte, a new coconut water and coffee blend as well as two new Tetra-Pak sizes for its popular Chocolate flavor, which had previously been available only in PET bottles. Back on the floor at Natural Products Expo West for a quick interview with Arnold Ventura, the CEO of aguas frescas maker Coba. BevNET founder John Craven spoke to Ventura about Coba's new Horchata flavor, one tinged with notes of cinnamon and vanilla. BevNET's coverage of Natural Products Expo West begins with a series of short video interviews from the floor of the bustling event. In this segment, BevNET CEO John Craven spoke with Bai founder Ben Weiss about the brand's new packaging as well as the company's new distribution deal in metro New York. 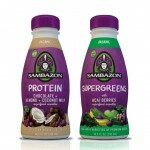 Sambazon will be sampling a couple of new products at its booth at Expo West. The two new smoothies will be a Chocolate Almond Coconut Milk Protein Superfood Smoothie made with vegan, organic protein and acai, and a Supergreens Superfruit Smoothie that included grasses, kale and sea greens along with acai, mango and banana. Both will kick off in Whole Foods this week with an SRP of $2.99. It’s time for New Hope Natural Media’s 32nd annual Expo West show co-located with Engredea and Nutracon held at the Anaheim Convention Center. Expo West along with its sister show Expo East, are the leading venues to see and sample all-natural and organic products. As always, BevNET.com will be on hand to cover and report on the beverage-related exhibitors at the show – over 160 in total this year.